If fear enters a room that consists of true Love then this same fear is not able to exert any influence in this room filled with the power of true Love. If true Love enters a room which comes from fear then this same real Love will be able to dissipate fear. That is why true Love is stronger than any form of fear. 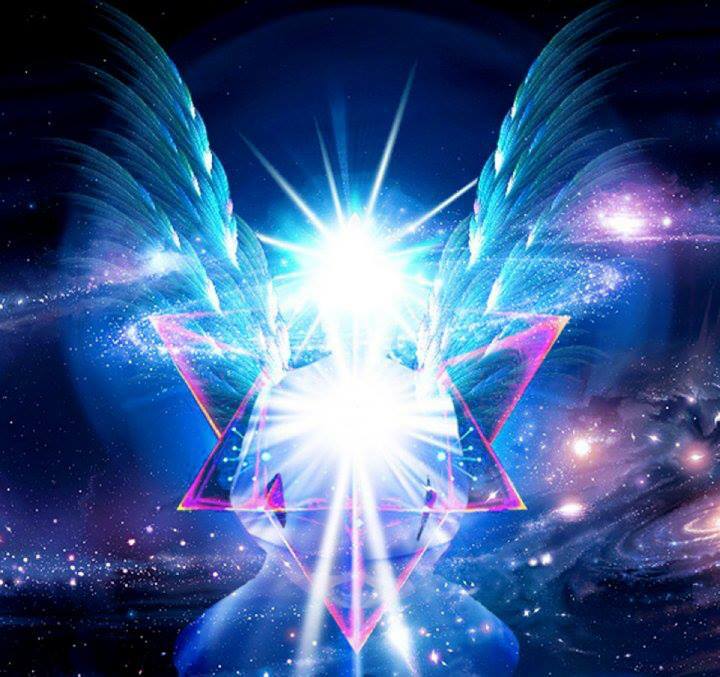 Angel Wisdom with Sharon Taphorn ~ Energy You are a remarkable energy field and you would benefit greatly from energy work, both giving and receiving. All of your bodies vibrate at a different rate and while the physical, which is the most dense, is the one that gets most of the attention, it is important to consider them all. Activate your healing hands and heart. Ask your angels to initiate you with their healing love and ask that you become a conduit of healing light. Open your arms and your heart and be ready to receive this wave of love. Let it awaken you and feel the energy as it begins to flow from you to those you wish to send love and light. When you lay your hands on another, even if it is just for gentle reassurances, their body will recognize the loving energy that flows forward. Direct it with love that has no other agenda. It is not up to anyone to decide what another needs for their healing, that is always for them to choose, just as you choose what is best for you. Set your intent to share love and let them consciously decide where and when and what the do with it. Remember that just as you have free will, it is up to each one to decide what is best for them. Trust your feelings, share messages of love when you are guided. Remember to release any judgment on in deciding what is best for another, and just love and support them unconditionally. That has the greatest power and affects great change in your world, even if it seems small to you, it is magnified one hundred fold. Comparisons are often unfair, biased and almost always puts our focus in a place outside of ourselves. Ratings of our own abilities are strongly influenced by the performance of others, according to a study published in Neuron. Interacting with high performers makes us feel more capable in cooperative team settings, but less competent in competitive situations. Moreover, the degree of “self-other-mergence” is associated with activity in a brain region previously implicated in theory of mind-the ability to understand the mental states of oneself and others. Estimating the abilities of ourselves and others is key for survival, guiding decisions about which social groups to join and whether to attack or retreat. In daily life, we constantly judge ourselves and others about everything from intellectual merit to athletic prowess. A wealth of psychology research has shown that comparisons with other people can be used as an effective means for self-evaluation, and conversely, people base judgments of other people on knowledge of their own traits. However, relatively little is known about which brain regions are involved in estimating the abilities of oneself and others.